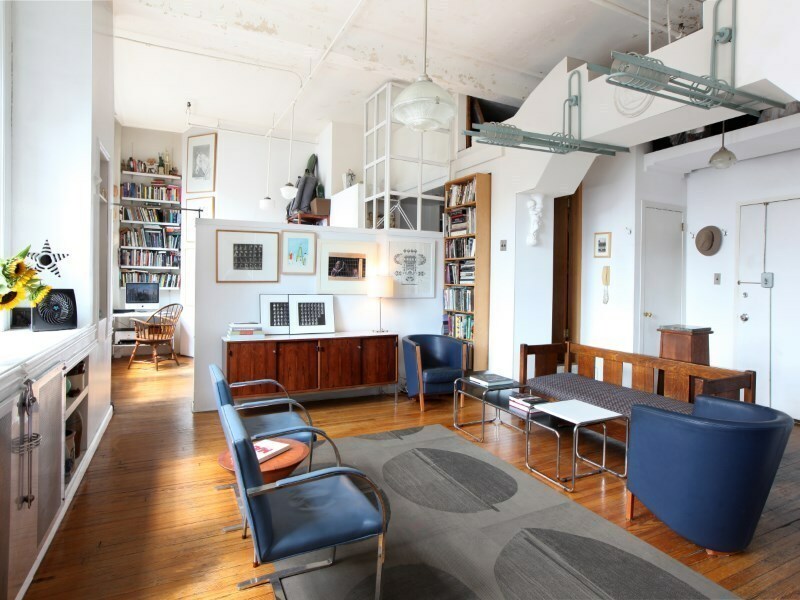 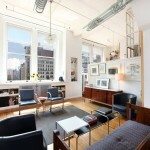 Of course, one of the biggest loft perks are the high ceilings—and this unit’s ceilings rise 12 feet. 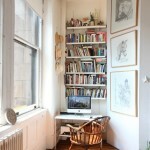 We also love the random historic details found throughout the space, especially the built-in shelving that surrounds the huge living room window. 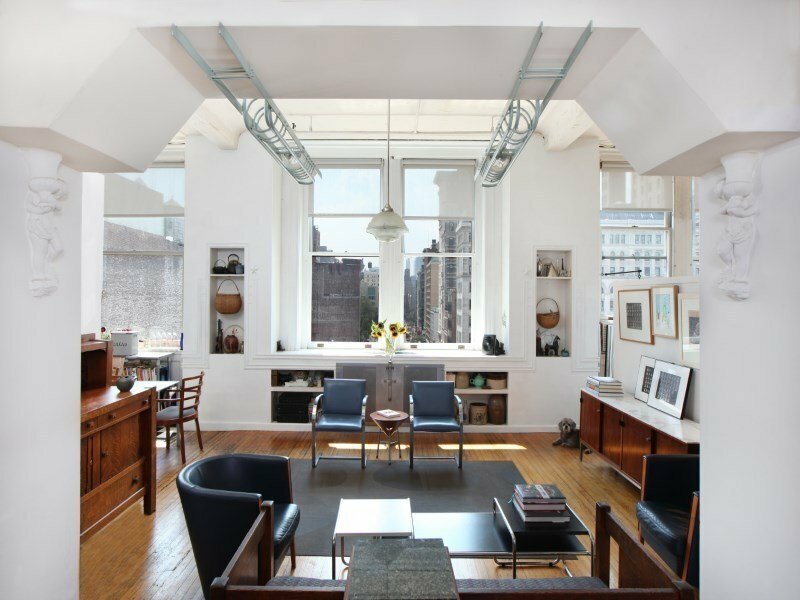 A renovation brought in partitions and lofted spaces to make the unit feel as big as possible and create lots of storage. 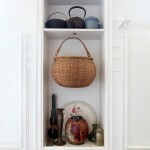 Throughout each room, there are shelves seamlessly built into the space. 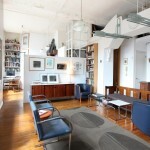 The design also adds a unique modern touch to the apartment, a variation from the typical bare bones loft apartment. 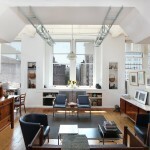 We’re also big fans of the customized lighting included in the living room. 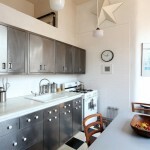 You’ll find chrome accents throughout the entire apartment, but it’s most on display in the renovated eat-in kitchen. 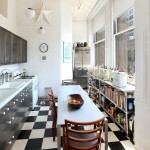 The distinctive cabinetry is paired with clean, white lines and tiled floors. 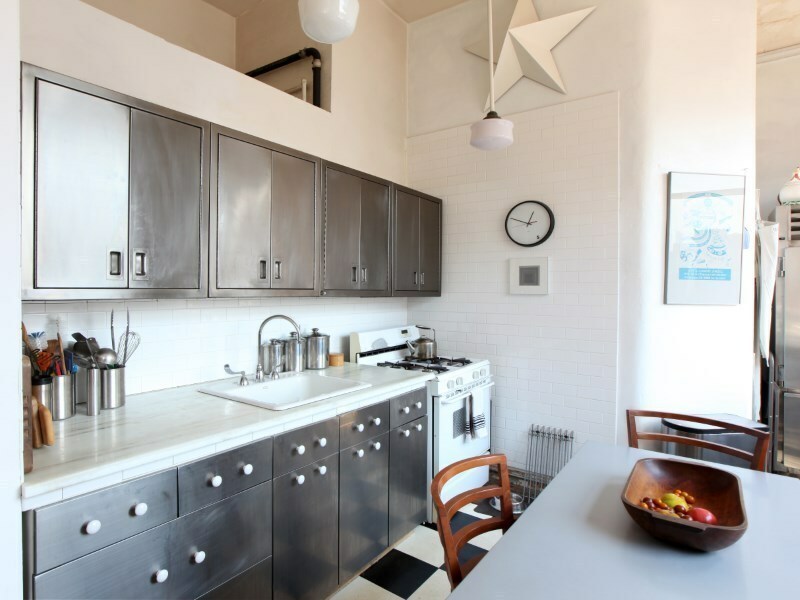 Although it’s a narrow kitchen, there’s enough space to fit a dining room table and shelving. 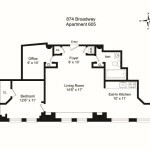 This 12-story co-op building is located right at the intersection of Broadway and 18th Street, in the heart of Flatiron. 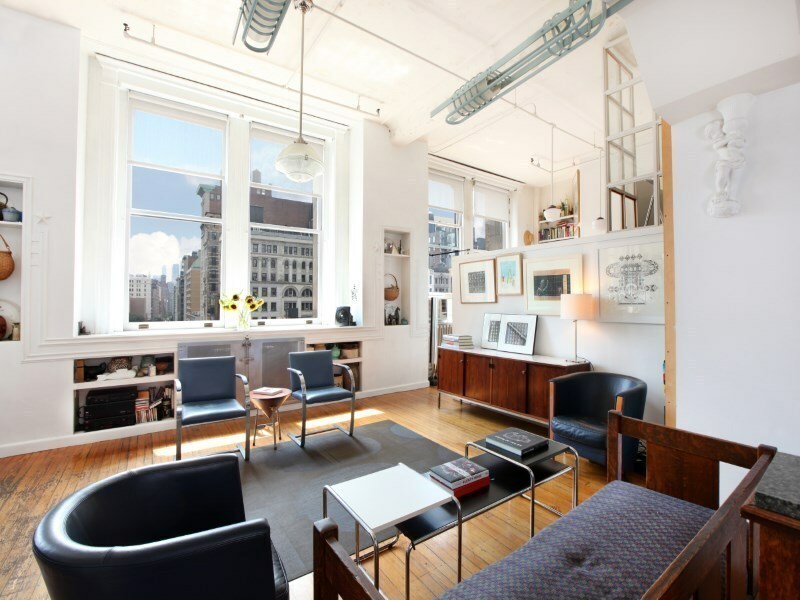 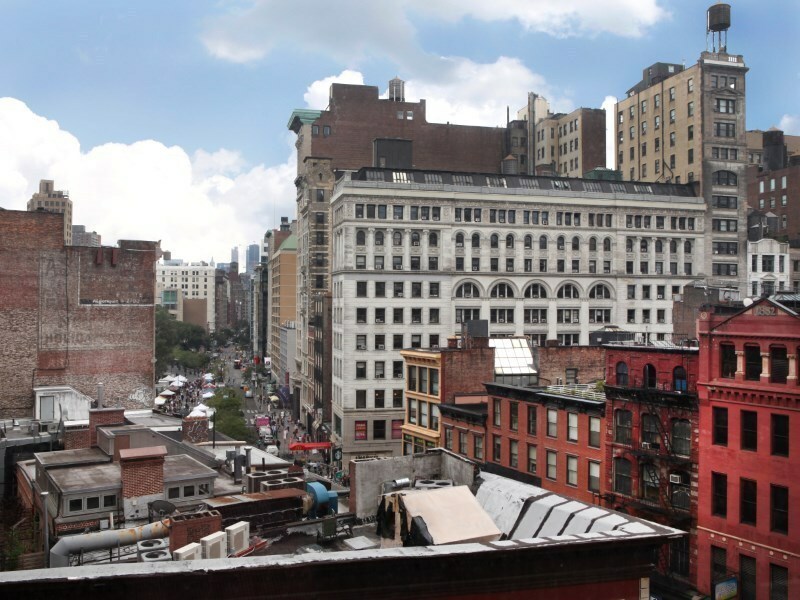 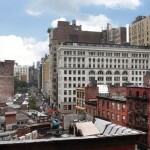 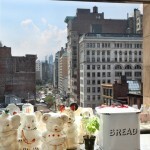 It’s a short walk to both Union and Madison Squares, and you get great views toward Union Square from the windows. 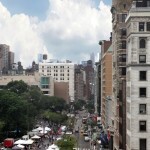 Between the Union Square Farmers Market, the playground and the dog park, as well as Shake Shack at Madison Square Park, you couldn’t be between two better NYC park spaces.